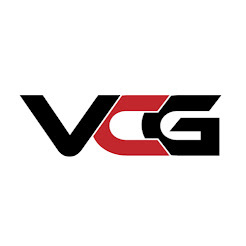 The official website for Victory Condition Gaming on Youtube, Twitch, Facebook, Twitter and Instagram. "Because WINNING shouldn't be the only victory condition when you get to the table." Descent into Wednesday - Kindred Fire Act 1 Finale! We face our fiercest Descent:Journeys in the Dark scenario yet in our Kindred Fire Act 1 finale! Will we be up to the task of saving the day or will the multitudes of creatures defeat us before we can get to the end? Find out! 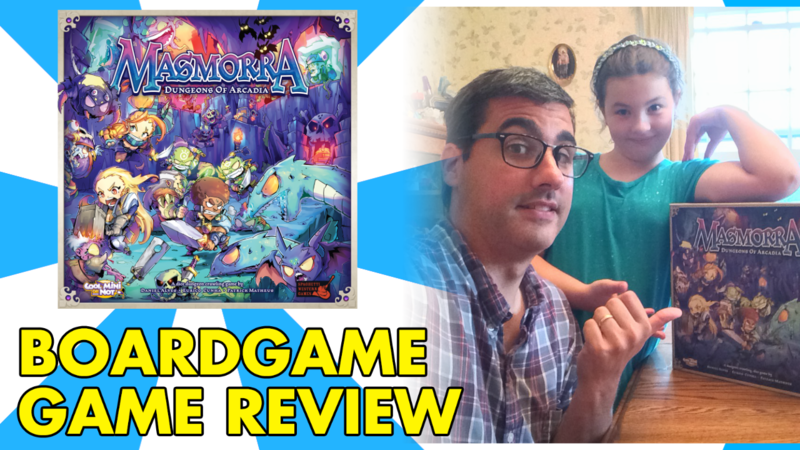 This is our review of Masmorra:Dungeons of Arcadia by CMON. How does Masmorra stack up to Arcadia Quest? What is the gameplay like? Is it fun? Find out as we give our thoughts! We're back after a couple week hiatus! 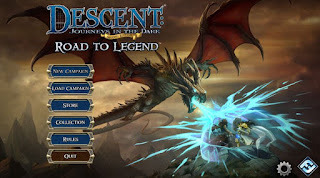 This week we talk a little about all the announcements that took place at GenCon, listen to one of our epic tales about our dad and then dive down into the depths to face down an Elemental Dragon. Will we recover the relics we find along the way or will the Hellhounds stop us in our tracks before we can even take down this epic foe? Watch and find out! July Battle Bin unboxing is up! 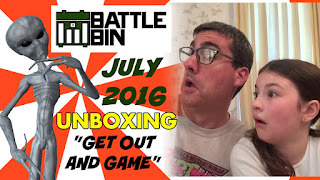 Our July Battle Bin unboxing video was just uploaded to the channel! Check out "Get Out and Game"! This month's bin features games from Tasty Minstrel Games, SGR Universe, Prettiest Princess Games and 8th Summit! 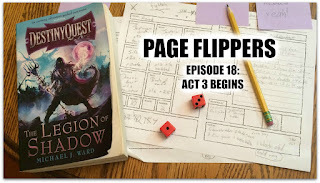 Page Flippers Episode 19 is on our channel! Our 19th episode is up! Find out why "no one puts Azula in the corner" in the second half of the first quest of Act 3. It's an episode we're calling "Dirty Necrodancing". Enjoy! Sydney gets painting advice from Robert Oren Tues at 6:30PM! We're excited to let folks know that Robert Oren has offered to give Sydney a tutorial on painting this Tuesday at 6:30PM ET on our Youtube channels. Sydney and Robert are going to be each painting the figure Maya from Arcadia Quest while Robert gives Sydney advice. We'll be streaming on both channels so you'll be able to see both sides of this tutorial. 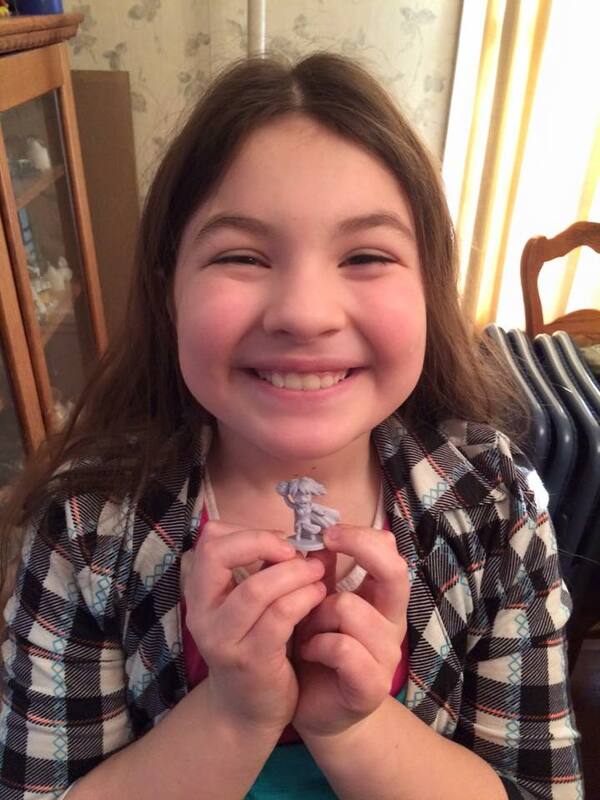 Sydney is very excited to learn some more skills in painting miniatures from one of the most well know miniatures painters on Youtube! We're so honored that Robert is taking his time to help and it truly shows what an ambassador his to the gaming community. Thank you, Robert! February Battle Bin unboxing is up! 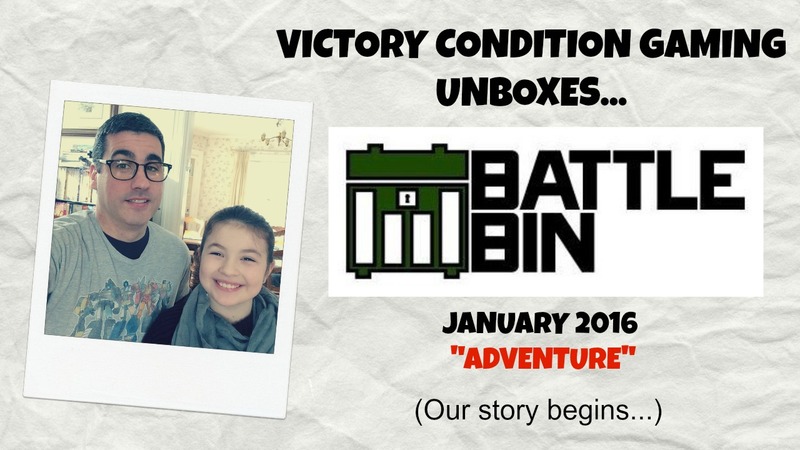 Our February Battle Bin unboxing is up! Sydney thinks she can get away with snagging this month's bin for herself but I try to teach her that this month's theme is not "Deception" but "Dad-ception"! 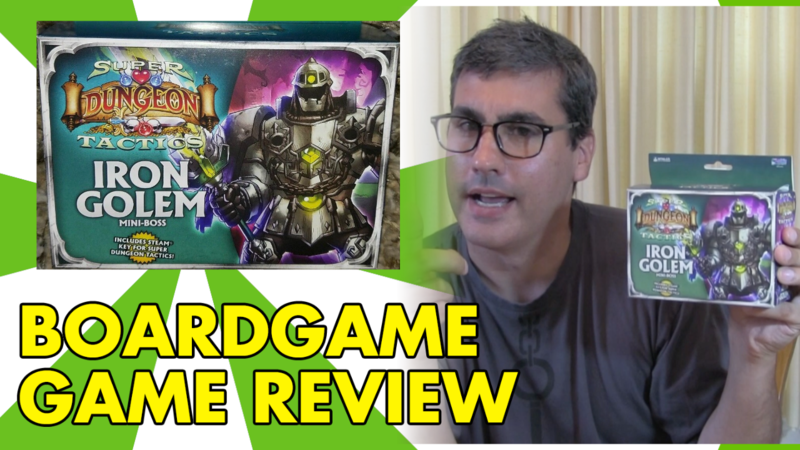 We have another contest this month for a copy of Epic Card Game! As always like, comment and subscribe! 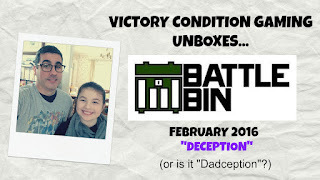 VCG Unboxes February 2016 Battle Bin "Deception"
PAGE FLIPPERS EPISODE 18 "Act 3 Begins"
This week we start Act 3. We familiar ourselves with the camp, get some information and challenge one of the trainers to a fight. Will our new skills come in handy as we set off into The Bone Fields?! 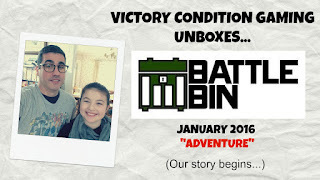 JANUARY BATTLE BIN unboxing video is up! PAGE FLIPPERS Episode 17:Level Up! This week we warm up by going back to the colosseum and take on another opponent before we face a "familiar face" to close out Act 2. What will happen once we face this shadow stalker as we "Level Up" into Act 3?! Watch and find out! 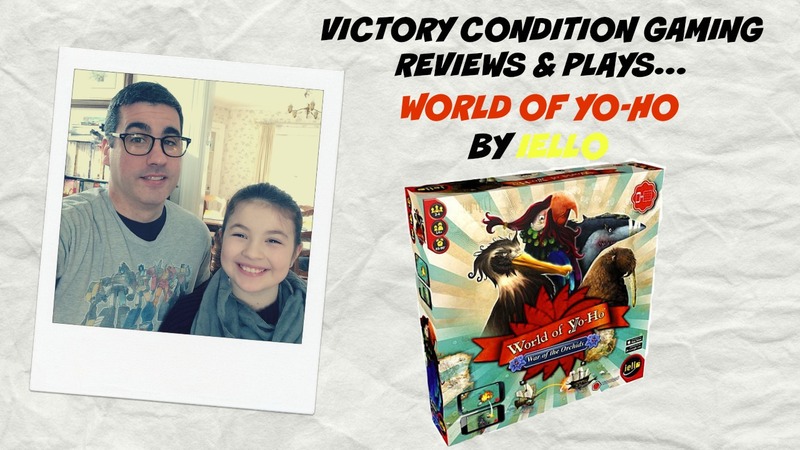 Our review and play through of World of Yo-Ho by IELLO is up on our Youtube channel. We play through a 700 pt game and give our thoughts at the end. Will we think this is a game you should pick up or pass on? Watch and find out! Our thanks to Brap's Magic for letting us review this game for them. If you have any tabletop or gaming needs, check them out at brapsmagic.com. PAGE FLIPPERS EPISODE 16 - THANKS, MERMAN STEVE! Episode 16 takes off where we left off in episode 15. As we climb a kelp ladder, who or what will we encounter? Will they help or hinder our quest for the crown and will we be able to get this lamprey worm out from inside of us in time? Find out as we complete the hardest quest of Act 2 of DestinyQuest "The Legion of Shadow". 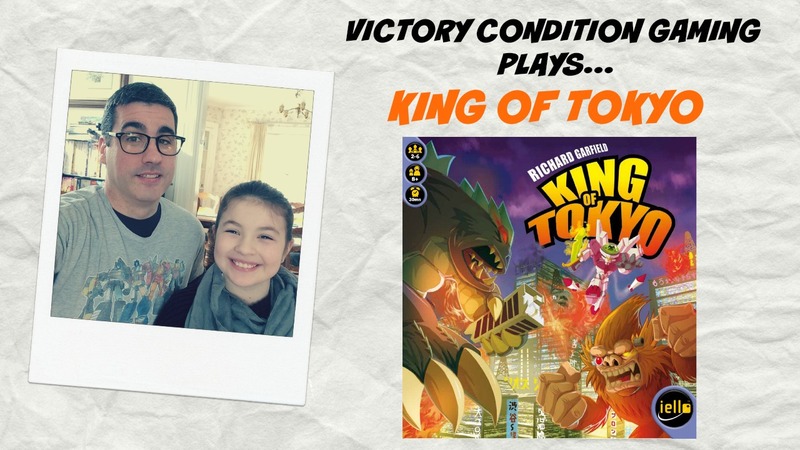 Earlier this week we had one of Sydney's friends over and we played one of our favorite games - King of Tokyo by iello. Usually the girls gang up to take me out when we play; was this time any different? Or was I able to take the break alliances and show them that in King of Tokyo it's "every person for themselves"? Watch and find out! PAGE FLIPPERS episode 15 "It's a Trap!" This week we finally take on a "hard" quest in Act 2 with "The Sunken City". We need to find a crown for some slimy mage before we become a "chest burster" from Aliens. What have we gotten ourselves into?! But Sydney does take a page from Admiral Ackbar's book in "It's a Trap!". If you'd like to determine where we head next week reply "619" for the flooded passageway or "556" to climb the kelp ladder in the comments. Page Flippers Episode 15 - "It's A Trap!" Mouse Guard review weekend! 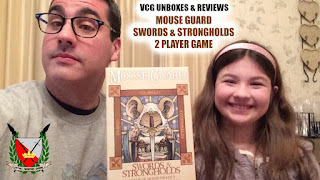 Next up Swords & Strongholds 2 player game! 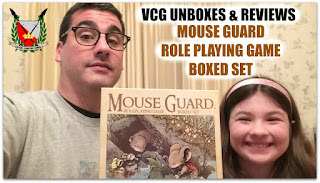 VCG unboxes & reviews Mouse Guard RPG box set! Are you tired of fighting orcs, goblins or dragons? What if I told you there is an RPG where you get to play as tiny guards mice fighting owls, weasels and bugs? Well, there is - Mouse Guard RPG. We recently got our hands on a copy of the box set to review and we thought we'd share our thoughts with everyone. 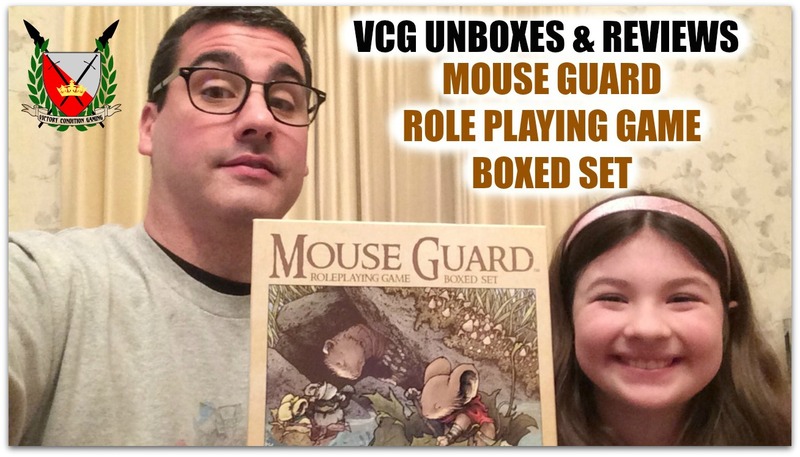 Here is our unboxing and review of Mouse Guard RPG boxed set! Check out episode 14 of PAGE FLIPPERS and ROLL THAT DAMAGE DIE! 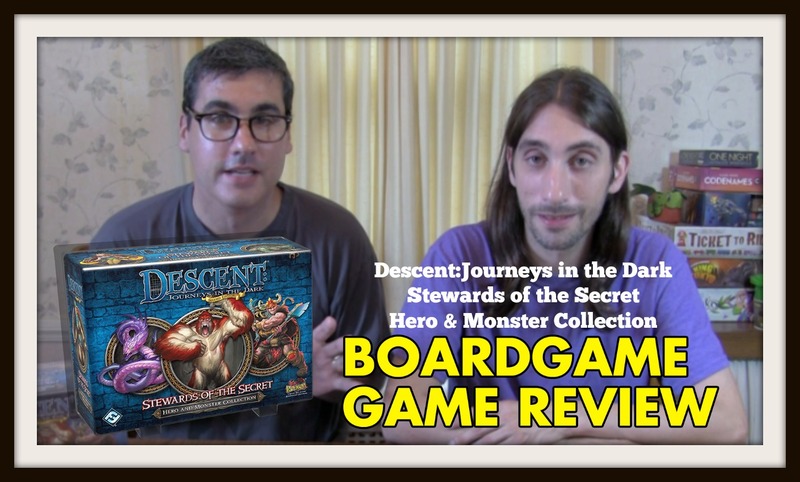 This episode we take on some legendary monsters and prepare for our next big quest. Will an assassin and a fire elemental stand in our way? Find out and say it along with us:"ROLL THAT DAMAGE DIE!". Also I recorded this episode in higher resolution (1080p) and without the voice sync issue. Any feedback again is greatly appreciated! Thanks! Page Flippers Episode 14 "Roll That Damage Die!" Thank you Winter Weirdness 2016! Yesterday we attended an annual local gaming event called Winter Weirdness. It was such a great time and we met so many great players. Since Sydney was with me we stayed with games that she was interested in playing. In the morning we met a family with a 4 year old daughter and we got to play quite a few games with them. They had quite a few games with them geared towards younger players which was very nice. We started out the morning playing a dexterity game Rhino Hero. Rhino Hero is basically reverse Jenga. You build a card tower and you have this little maple Rhino that you sometimes have to move to different floors of the building as you are building the tower. 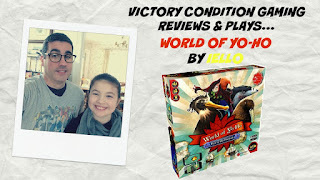 Great game if you have young players at home. Each round takes only a few minutes to play. The next game we played with them was Sushi Go! one of our favorites. We got to play Sushi Go! with a gentleman name Brett and it was his first time playing. He seemed to really enjoy it and even thought he's buy it for his nieces. The next game we played was Catan Junior. It had been a while since I played Catan but after a few minutes it was just like reading a bike and it all came back. This was Sydney's first time playing any version of Catan and she caught on to it very quickly and then proceed to dominate us all with some of her turns lasting 5 minutes or more. Then the final game of the morning was Colt Express a wild west, train robbing game. It was a huge hit and one I think we'll have to pick up. Sydney loved the little train and the gameplay is very thematic, If you have kids I'd say this is one to have in your gaming library because after a few plays I could see this game being very quick and without a doubt very much a shoot out on a train in the wild west. After Colt Express we had to leave for a birthday party but Sydney asked if we could go back after the party which I happily took her up on. We had met a gentleman named Kori earlier that morning who does events for Plaid Hat and Iello and we asked him if we could run-through Mice and Mystics with him. He happily did a session of Mice and Mystics with us which we unfortunately were captured in by being overrun by cockroaches. Kori then followed up the Mice and Mystic session with a demo of Ashes. It was a close match, but unfortunately I had damage redirected to my Phoenixborn when I tried to take his Phoenixborn out at the end and took the loss. It was just a great time and we want to thank Green Mountain Gamers for hosting such a great event. We hope to attend next year and make it to other events! 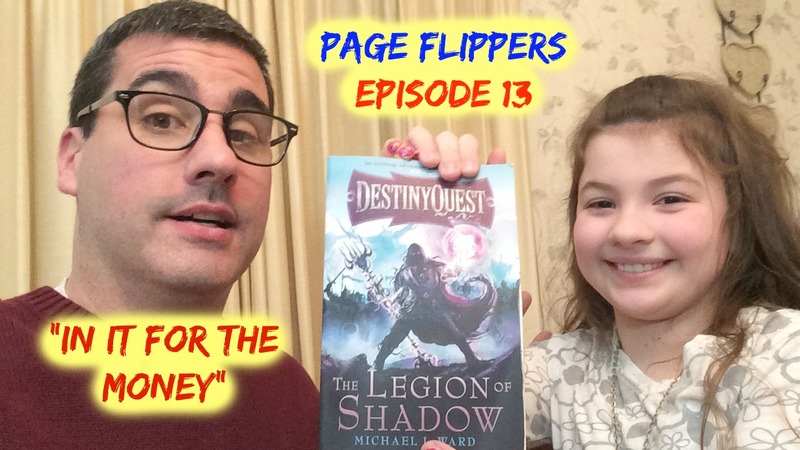 PAGE FLIPPERS Episode 13 "in it for the Money" is uploaded! We're back after our holiday break! This episode we take typhoon's advise and go back and battle some fighters back in town, earn some money and buy a dagger that will give us the "venom" ability. Will we accomplish our goals or will we get stomped on inside the arena? Watch and find out! Episode 13 "In it for the Money"
I worked some post production on this video (about 3 hours of work) instead of just streaming and posting it. Let me know if it was worth it! FLGS? Not really but I have a FGS - BRAP'S MAGIC! Having an online presence I sometimes get asked about my FLGS (friendly local gaming store). I usually reply that I don't have a FLGS but that I do have a FGS - Brap's Magic in Burlington, VT (brapsmagic.com). Much to my disappointment (and maybe the relief of my wife), Brap's Magic is about an hour's drive from me, but let me tell you they are a GREAT store! I wish I lived closer and spend more time there, but the reality of life is that I just can't get up there as much as I wish I could. They have a great team working the store and let me tell you about them. Brap, the owner, is just about the nicest guy you could meet. He gets the whole retail aspect and he'll even sit down and play a game or two with you if he has a chance (which is pretty rare since he's a busy guy). Steve, the event coordinator, does a great job as well being just a funny guy. He schedules everything from RPG sessions to Magic, Dice Masters and Attack Wing events. He keeps the events well run while also tending to other areas of the store. Again, he'll also sit and play just about anything with you if he has a moment. That leaves me with Dave. Dave is the "go to" guy. He mans the store certain days and does a great job keeping the store clean, tidy and stocked. Dave is also one of the players to beat in Dice Masters events. We pick on him a little, but he takes it in stride. Nice guy, really good Dice Masters player. Those three are the team that I know that do a great job there at Brap's Magic. There must be more but those are the 3 that I interact with the most along with the "regulars" who are usually there playing various games and are just a great group of guys. If you are in the Burlington, VT area I'd encourage you to check them out. I'm sure you will enjoy your time there. You can also check Brap's Magic out online at brapsmagic.com. They have competitive prices and great service. Now you know and knowing is half the battle! We won a Twitter contest from the folks at Battle Bin! 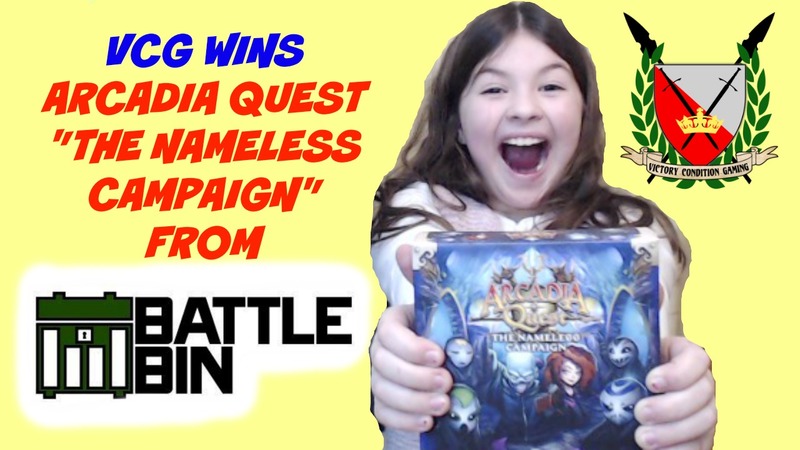 Battle Bin did a Twitter contest for a copy of "The Nameless Campaign" for Arcadia Quest and WE WON! Here's our video! 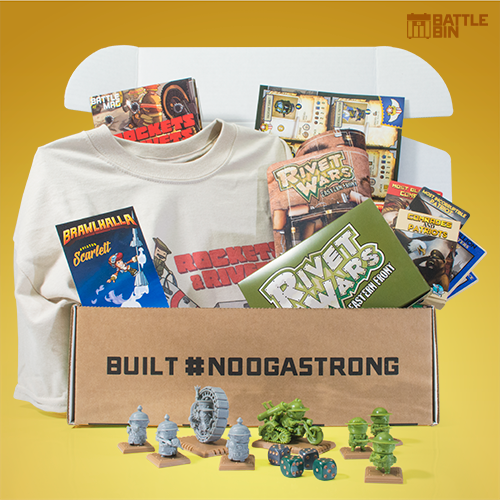 Battle Bin is a monthly gaming subscription service and they are going to have Arcadia Quest content in their January "adventure" bin so if you like Arcadia Quest you will want to sign up! We put a link to sign up in the description of the video and here! You can also follow Battle Bin on Twitter - Battle Bin! VCG wins ARCADIA QUEST NAMELESS CAMPAIGN from BATTLE BIN! The final numbers for 2015 are in. I'd like to share some of the data with you because the numbers are outstanding and I can't express how grateful I am to everyone who watched, viewed and subscribed to any of these channels. First the Livestream data because that's what we started with in Feb 2015 because all we were working with was mobile devices (Boy, have things changed since then. I can't wait to see what improvements we make in 2016). Livestream we have 51 followers. That's all the data they provide. I know most of our monthly streams had 100s of views before they were taken off the site after 30 days. Incredible because we only used Livestream for a few months. Twitch we ended 2015 with 68 followers and 599 unique views. Again, wow. We weren't using Twitch the "normal" way because the only way we could broadcast to Twitch was by a screen mirroring program off my Nexus tablet which wasn't ideal but we wanted to provide Golem Arcana content to more people. Now the Youtube data. Are you ready for this? Just to show how far we've come, remember we started our Youtube channel March 22, shooting videos with my iPhone. We weren't streaming on Youtube. We ended 2015 with 153 Youtube subscribers, 7,632 views and 38,087 minutes watched. I know those numbers are just a drop in the bucket to a lot of Youtube channels, but for me that's just incredible because I started out doing this without any clue what I was doing, so to think people watched our channels for over 7,000 hours (more if we could factor in the time from Twitch and Livestream) in 2015 just boggles my mind. So what does this mean for 2016? Well, we're still going to provide online content for Golem Arcana. Love the game. Love the tech. Love the company - great people. We're going to finish Page Flippers season 1 featuring DestinyQuest "The Legion of Shadow". I'm planning a big season finale for Page Flippers. It should be a great event. Michael J. Ward is a terrific person and an incredible writer so we want to continue to support his work as much as possible. We've got a lot of tabletop and board game streaming planned. Some of the games are out, some of them are not! :) We're really excited to do more game play streaming and show you all some games that we're really excited about in 2016. We were invited back to all the conventions we set up at in 2015. We'll be returning to those conventions as well as possibly adding 1-2 more. We also have something up our sleeve for Youtube that we're REALLY excited about. We can't disclose it just yet, but know that it involves a company that provides a great product with great value and service. We can't wait to help get the word out about it. Stay tuned for that announcement in the coming weeks. This episode we play the 2-8 player card game Timeline by Asmodee. 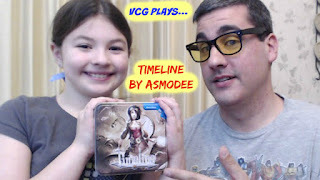 Timeline is a great portable game that is educational in addition to being fun. 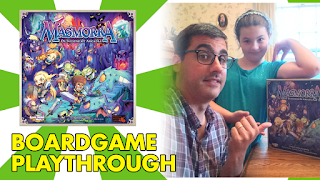 Watch as we play and see who wins in our 3 player family match! Happy New Year! Now let's talk about Battle Bin! I'm sure, like us, one of your New Year's resolutions for 2016 is to take more time for gaming so we're here to help! So if you are in the market for a monthly subscription service please check out Battle Bin at the link below and let us know if you sign up! We're going to feature their monthly bins starting with January on our Youtube channel!